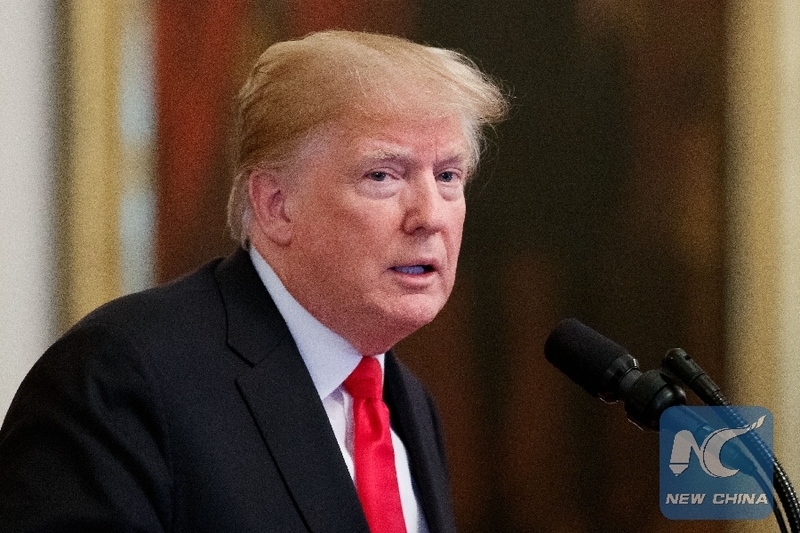 WASHINGTON, Oct. 30 (Xinhua) -- U.S. President Donald Trump plans to remove the right to citizenship for babies of non-citizens and unauthorized immigrants born in the United States, according to an interview excerpt released Tuesday. Trump told "Axios on HBO" that he has run the idea of ending birthright citizenship by his counsel and plans to proceed with the move, which would certainly stir controversy and spark a court fight. "We're the only country in the world where a person comes in and has a baby, and the baby is essentially a citizen of the United States... with all of those benefits," Trump said. "It's ridiculous. And it has to end." The 14th Amendment of the U.S. Constitution guarantees the right to citizenship for all born on U.S. soil to immigrant parents - whether they are in the country legally or not. More than 30 countries, most in the Western Hemisphere, provide birthright citizenship, according to Axios. To change the constitution requires a two thirds majority in Congress, but Trump insisted that he can do it with an executive order. "It's in the process. It'll happen... with an executive order," he added. Trump's comments were released a week ahead of the highly-contested midterm elections, which could see Democrats seizing control of at least part of the Republican-held Congress. Trump has been seeking to place the issue of immigration front and center in the elections. He has long called for an end to birthright citizenship, as have many conservatives.